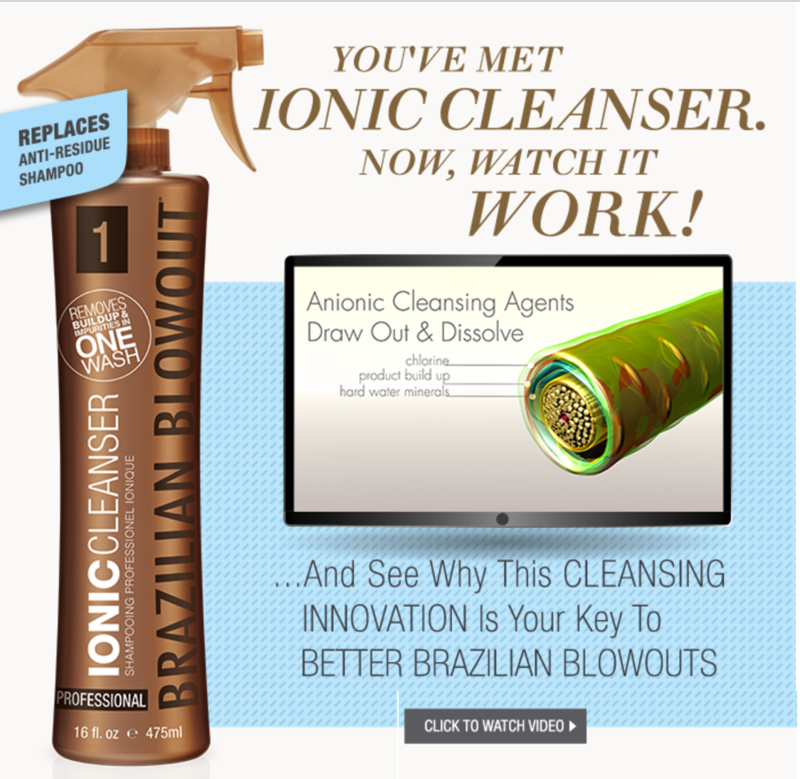 Brazilian Blowout Ionic Cleanser is a revolutionary new pre-treatment that removes all buildup in as little as one wash! This new Step 1 pre-treatment to a Brazilian Blowout service essentially makes the Anti-Residue Shampoo obsolete. Anionic cleansing agents draw out and dissolve chlorine, product buildup, and hard water minerals. It does this by unblocking the cuticle without removing hair color. 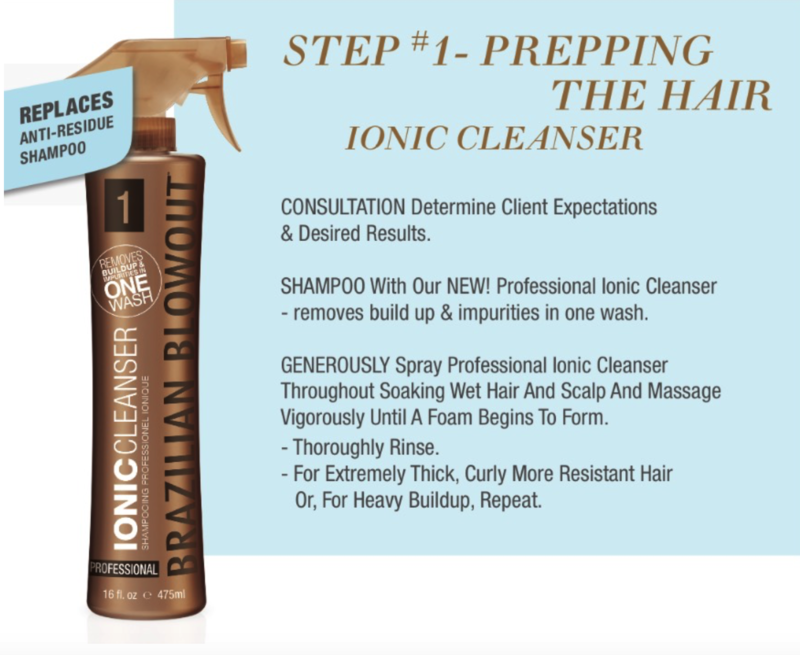 Brazilian Blowout Ionic Cleanser saves the stylist 10 + minutes off the front end of a Brazilian Blowout treatment. Impurities, such as minerals and product buildup, are positively charged, causing them to attach themselves to the hair. Brazilian Blowout Ionic Cleanser releases the negative charge in the hair, causing the impurities to be released without roughing the cuticle. The color is left intact with no residue left in the hair. To better understand how it works, here is a good analogy. Think of a refrigerator as the hair shaft covered in magnets. If you could somehow turn off the magnets, they would all fall to the floor. This is what happens with the new Brazilian Blowout Ionic Cleanser. Generously spray the Ionic Treatment thoroughly in soaking wet hair and scalp. Massage vigorously until a foam begins to form. Thoroughly rinse the hair. If you are working with extremely thick, curly, or more resistant hair, or you have very heavy buildup, you may need to perform a second application. Hair that is treated with the new Brazilian Blowout Ionic Cleanser will allow the bond to be stronger, providing longer lasting results. 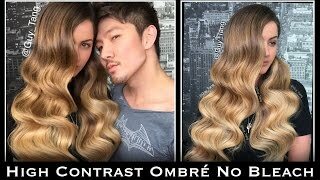 Unlike before, now there is less worry of hair color fading after a Brazilian Blowout Treatment. This cleanser is also good to use before other chemical services to remove mineral deposits and buildup. 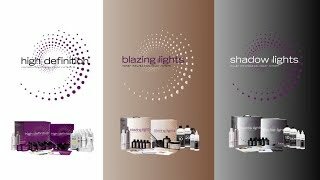 To find out more, please visit Brazilian Blowout. If you liked this post, please LIKE and SHARE. Also, sign up for my newsletter by completing the form on this page. Please let me know in the comments below what you think of this new product. If you are currently using this, please give us your feedback!